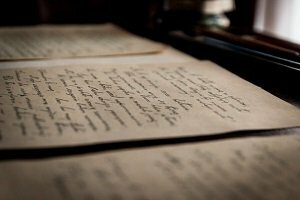 Mark Twain once said, “I didn’t have time to write a short letter, so I wrote a long one instead.” It is surprising, but true that limiting the information you have for your essay and putting it into an effective order is harder than simply writing down everything you can think of about the given topic. Let’s look at the format of essay writing in English. Any writing instructor will tell you that the main idea should appear in the introduction. Most academic papers have to be informative or persuasive, so a thesis statement should be used. Unless your professor specifically directs you not to, you can always use this formula for your thesis statement: “X because of Y, Y1 and Y2.” In this formula, ‘X’ is your topic and ‘Y, Y1 and Y2’ are the three sub-topics that will make up your three body paragraphs. You can use an implied thesis, but even then, you should give your readers a very good idea of what they are going to read throughout the rest of the essay. An implied thesis may take up the entire introduction in the form of a hypothetical situation or an anecdote. Such type of a thesis is better used for narrative essays. The introduction could include facts, statistics, or a personal opinion. The middle of your essay is the part where your professor is going to see your understanding of the topic. According to The Guardian’s Harriet Swain, he or she will be expecting to see the proof of your reading, your analytical skills and precise examples that support your arguments, hypothesis or main idea. Quotes are fine to use as long as you explain what they mean and how they apply to the topic. Too many students think that throwing in arbitrary quotes will impress their teachers, but actually, they will not. Teachers want to see your understanding of the topic, not someone else’s. They would much prefer you to paraphrase or summarize the majority of the research. Each body paragraph should sound logically and have proofs to back up each point. Statistics, quotes from experts in the field, and explanation of your reasoning should be present throughout. not recapping your main points. These are certain ways to negate the value of your paper. Many people choose to include anecdotes, predictions for the future or quotes relating to the topic in their conclusions.